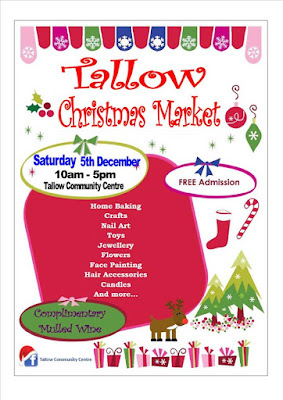 Tallow Enterprise Centre - Supporting Enterprise And Community In Tallow, Co. Waterford, Ireland. Come along to the Tallow Christmas Market on Saturday 5th December! This year's market will be held in the Community Centre between 10am - 5pm. Free admission as well as complimentary mulled wine!